On our last evening in London we wanted to sample another delight from the London Jazz Festival; Wayne Shorter with the BBC Symphony Orchestra was long sold out, so we opted for Jazz at the Philharmonic just down the street at the Barbican’s brand-new venue, Milton Court. 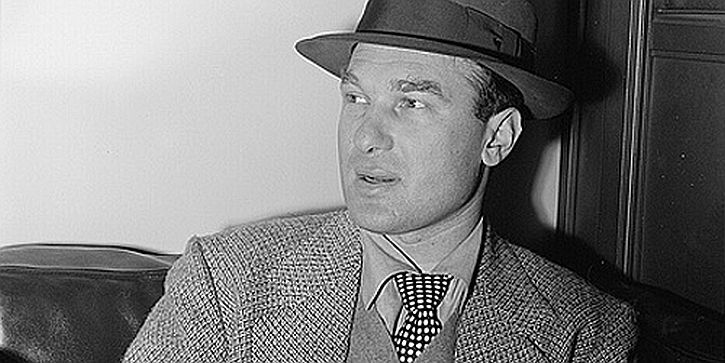 Devised by record producer Norman Granz back in the 1940s, Jazz at the Philharmonic brought together mainstream jazz artists with the radical forces of bebop, and lead to the founding of the classic jazz record label, Verve. Beginning with ground-breaking multiracial tours of the USA, Granz was soon organising overseas tours under the JATP banner that brought the greatest jazz musicians of the day to concert venues around the world to perform spotlight sets and impromptu jam sessions. LJF organisers had designed this concert to evoke the spirit of JATP by bringing together a bunch of today’s jazz musicians to replicate the format of a JATP concert. At its core was the James Pearson Trio, house band at Ronnie Scott’s Jazz Club where Pearson is the Artistic Director. With Pearson on piano and doubling up as compère, were Sam Burgess on double bass and Pedro Segundo on drums. They were joined on saxes by Peter King on sax (now in his 70s, in 1959 aged 19, he perform at the opening of Ronnie Scott’s), Nigel Hitchcock and Alex Garnett, on trumpet by Byron Wallen, and on drums by Gary Husband. In first set Jacqui Dankworth took on the female vocalist’s performed by Ella Fitzgerald in many of the original JATP shows, while in the second half French pianist Jacky Terrasson made a rare UK appearance. In 1953 you could see all of these in one show – in the UK! Before the musicians took over, Richard Havers, author of Verve: The Sound of America, a definitive new account of Jazz at the Philharmonic and the record label established by Norman Granz that brought some of the best jazz of the 1940s and 50s to the public, gave a short presentation of the JATP story illustrated by a slide-show of a selection from some of the many illustrations from his book – LP covers and performance photos, some of them never previously published. It was at the tail end of 1955 that Norman Granz decided to form Verve Records. He did so for Ella Fitzgerald; he already managed her career, but felt he knew how to make the kind of records the singer should be making – and history has proved he was right. But the story of Verve begins a decade or more before, rooted in Granz’s ambition to take jazz out of the clubs and into concert halls, as well as in Clef and Norgran, the record labels he had been running for several years. On 2 July 1944, the 25-year-old Granz staged his first Jazz at the Philharmonic concert. From the outset, Granz had a clear vision of what he wanted to achieve by taking jazz into more ‘respectable’ music venues such as New York City’s Carnegie Hall. 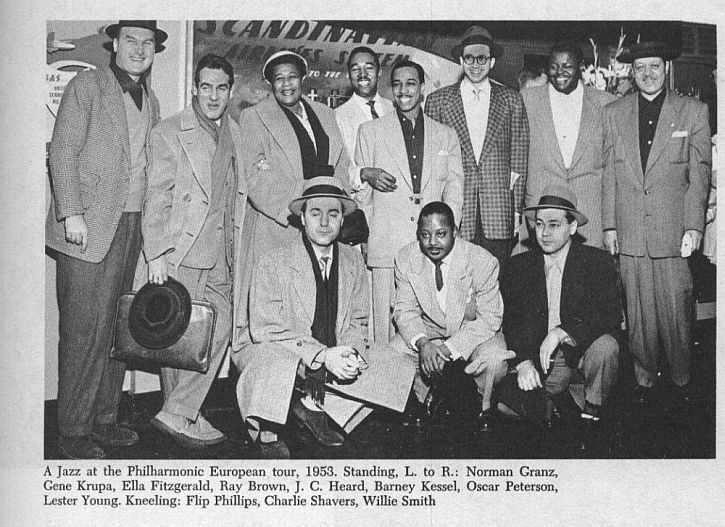 Besides introducing the genre to an expanding audience, Granz was fighting racial segregation (a fight that cost him both professionally and personally).And as the .Jazz at the Philharmonic tours grew more extensive, Granz developed the template for modern touring that is replicated today by just about every kind of artist, across jazz, rock and every other musical genre. For Granz, starting a record company was a way of expanding his Jazz at the Philharmonic franchise – but almost immediately the artists appearing in his concerts recognised the opportunity to make studio recordings. 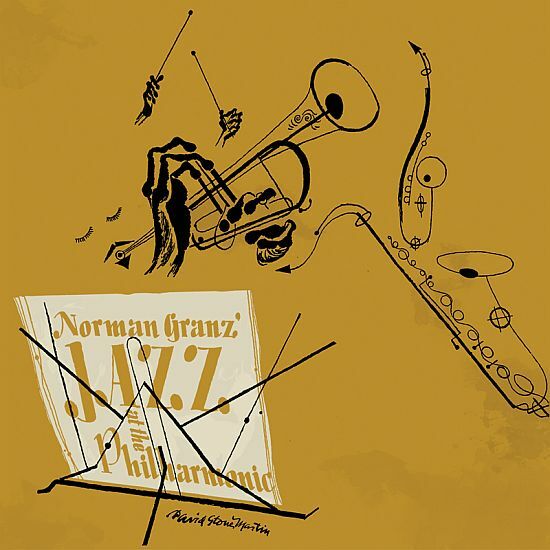 By the late 1940s and early 1950s the artists Granz recorded for his Clef and Norgran labels included Charlie Parker, Billie Holiday, Dizzy Gillespie, Lester Young, Count Basie and Stan Getz. Soon after founding Verve, Granz placed Clef and Norgran under the umbrella of his new company, a move that gave his fledgling label a roster of artists and recordings representing much of the best of jazz’s golden era. New artists were signed to Verve and, as the company expanded, many new fans discovered jazz. In 1960, Granz sold Verve to MGM Records. Soon Creed Taylor was running the label and taking it in a new direction; with records by Getz and Charlie Byrd, Getz and João Gilberto, and of course, Gilberto’s wife Astrud, the label benefited enormously from the bossa nova jazz craze sweeping in from South America. Jazz was still cool, but it was also in the charts, and more popular than ever. Verve signed new artists, including Jimmy Smith and Wes Montgomery, who became further conduits for converts – and the label helped spread the jazz word around the world. It’s an oft-repeated notion that jazz is America’s one true art form. On the inner bag of every Verve long-playing record released during the 1960s was written: ‘The .Jazz of America is on Verve’. It follows, therefore, that ‘the sound of America’ was on every record issued by the label. That, at least, is the reasoning that inspired Verve: The Sound of America. The book coincides with a programme of reissues, beginning with a five-CD box set that traces the story of the label through 100 of its single releases. Verve is now part of Universal Music Group. Under the leadership of David Foster, it not only reissues from its treasury some of the great jazz records, but also thrives as a label for modern artists: Diana Krall, Trombone Shorty, Lizz Wright and Smokey Robinson, to name just a few. Seventy years after Granz decided to take jazz out of the clubs and into the concert halls, the musical revolution he founded continues to flourish. Nat King Cole was among the artists who appeared at the very first Jazz at the Philharmonic concert in 1944; in 2013, one of Verve’s releases has been an album by Nat King Cole’s daughter: Natalie Cole. The wheel has turned full circle. And so to the music. I have to say that things didn’t really catch alight in the first half. The ‘house band’ were serviceable, but not especially thrilling. Peter King on sax seemed rather frail, and often seemed to lack the breath to make a punch during his choruses. Nor did Jacqui Dankworth set the house on fire; for some reason she chose to sing several downbeat numbers, including Billie Holiday’s ‘Gloomy Sunday’, as well as several other great songs – including Gershwin’s ‘The Man I Love’ – but in a rather low-key manner. However, in the second set sparks began to fly as the musicians replicated a JATP jam session. 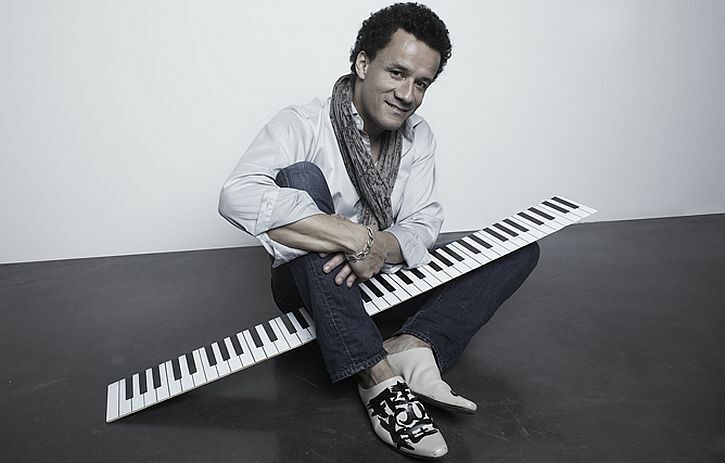 Jacky Terrasson joined the musicians on stage and was soon engaging Pearson in one of those highly competitive ‘cutting contest’ which were a highlight of JATP concerts, in which soloists would try to outdo each other in improvisation skill. It was exuberant stuff, equalled by another extended contest between the two drummers. All in all, it made for a satisfying evening, a mixture of live music and informative presentation, even if it wasn’t one of the all-time great shows. A disappointing aspect of the evening for me personally was not to hear more of Byron Wallen in his own musical setting. 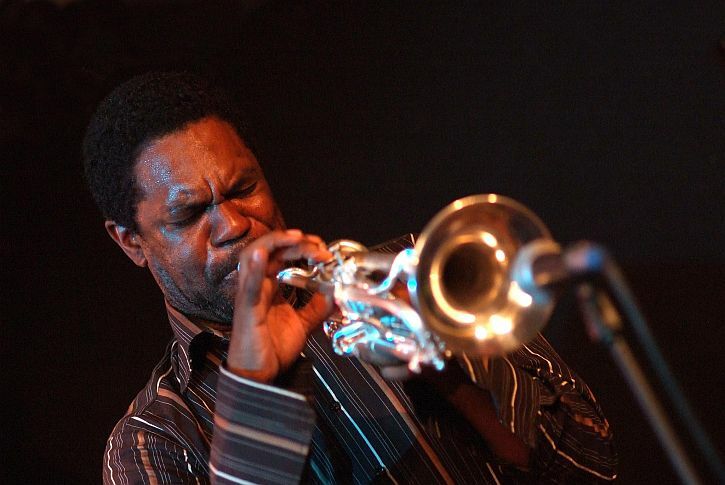 He’s made a series of really interesting albums that fuse elements of the jazz of black America with North African music and other ethnic influences. Two particularly good albums are Meeting Ground (2007) and Indigo (2002). I love the JATP albums – especially the early ones. 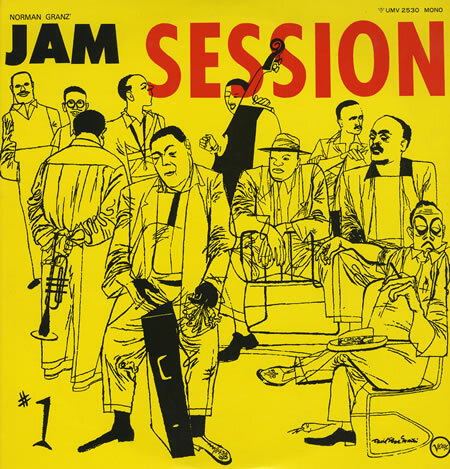 But I think my favourite Granz-produced session of that era is Jam Session, a 1952 recording, featuring the three top alto sax players of the era – Parker, Benny Carter and Johnny Hodges- with Ben Webster, Flip Phillips, Barney Kessel, Oscar Peterson, Ray Brown and J.C. Heard. It’s got a lovely, woozy, late-night feel. Gerry, enjoyed your post enormously, especially the bits I didn’t write :) Thanks. I was careful to credit your programme piece. I hope you noticed that! Only just found this. Back in the mid 60’s I went to a touring show at Birmingham town hall under the jazz at the Phil label. It included Coleman Hawkins, Clark Terry, Louis Bellson, Zoot Sims, Teddy Wilson and many more. Never been able to identify the full list of artists as it really was, I suppose, a “post Jazz at the Phil” package. Didn’t know how lucky I was! Hi, Pete. 28 November 1960? According to this web page (http://www.bradfordtimeline.co.uk/mindex60jazz.htm) that was when a JaTP package featuring Dizzy Gillespie, Clark Terry, Coleman Hawkins, Zoot Sims, James Moody, Teddy Wilson, Louis Bellson, and T-Bone Walker played B’ham Town Hall. If so, I’m mightily impressed – all I was listening to then, aged 12, was Elvis, the Everlys and The Shadows. Following further ‘research’, I’m pretty sure that 1960 is a typo. This package toured the UK in 1966 and there’s a Youtube clip of T Bone at one of the London performances. It seems highly unlikely that the same line up would have toured six years earlier. My memories were of Coleman Hawkins and Teddy Wilson in particular, though I clearly remember Clark Terry, Zoot Sims and Louis Bellson. I seemed to recall Dizzy being there, but, time being what it is, I later convinced myself I must have imagined that! No memory of T Bone Walker at all, though, which seems odd, as he would have stood out as the bluesman in a jazz concert. They did two shows in the one evening, by the way. I saw a blues package in the same year, with Sony Boy Williamson (Rice Miller) , Buddy Guy, Roosevelt Sykes etc. Incredible to think I saw all those people before I fully appreciated their significance. At the age of 12, Gerry, I was listening to the same stuff as you 9minus the Shadows), though I had probably discovered jazz by then, through the Saturday Club ‘Jazz cellar’ which featured British revivalists – Alan Elsdon sticks in my mind for some reason. I still love New Orleans jazz, by the way, but by 1966 I’d also taken bebop and mainstream in. Think you might be right about the typo – it’s a relief in a way that you weren’t such a precocious child! As for New Orleans jazz – it depends what you mean. I’m not so keen on the Preservation Hall-style traditional stuff, but there has been so much else good stuff out of New Orleans – not only jazz, but rhythm and blues and more. Did you see the series David Simon made after The Wire – Treme – about jazz and blues musicians struggling to recreate the music scene after Katrina? Really excellent, with cameo appearances by many New Orleans pop, r&b and jazz greats. Coincidentally, I’m just at this moment listening to Dr John’s latest, his tribute to Louis Armstrong, ‘Ske-Dat-De-Dat…The Spirit of Satch’. We’ve already booked to see him at the Phil in March when I hope he does his jazz thing. Loved Treme, and it did feature a ‘modern’ traditional New Orleans band in Kermit Ruffins, who was pretty good. Can’t get to Dr John – gutted. I’m sure he’ll do the Louis tribute which is bound to be great.